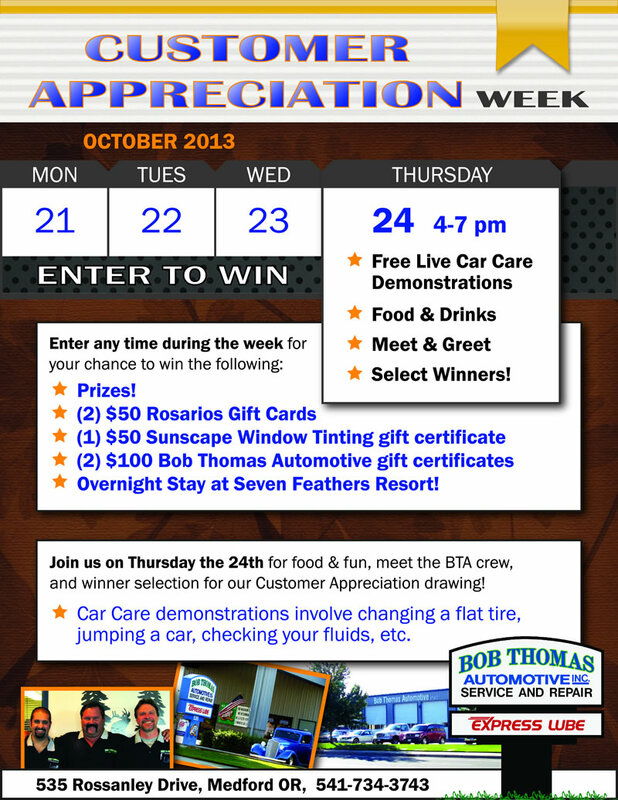 2013 Customer Appreciation Week at Bob Thomas Automotive! Home/Drawings & Contests, Specials & Events/2013 Customer Appreciation Week! For the week of October 21-24th we offered $25 oil changes, and a free gift when $150 or more was spent on services. Everyone was invited to enter in our Customer Appreciation Drawing for the chance to win great prizes and various gift cards & gift certificates (including Rosarios, Sunscape Window Tinting and of course Bob Thomas Automotive). One lucky name was also drawn to win an overnight stay at Seven Feathers Resort! All winners were drawn during our Customer Appreciation Day event on Thursday Oct. 24th. 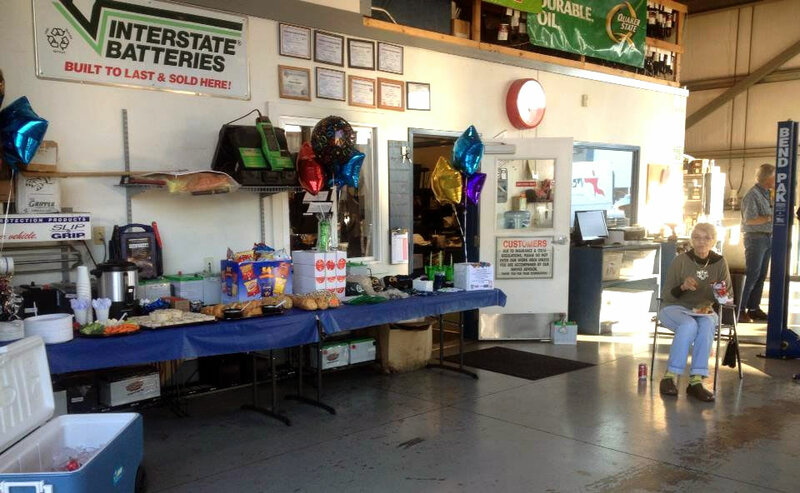 We had food, drinks and a special Meet & Greet with our BTA crew, also showing live car care demonstrations such as changing a flat tire, jump-starting a car, checking your fluids, and more. BIG THANKS to all of our customers for your support, and to those who participated in the fun!